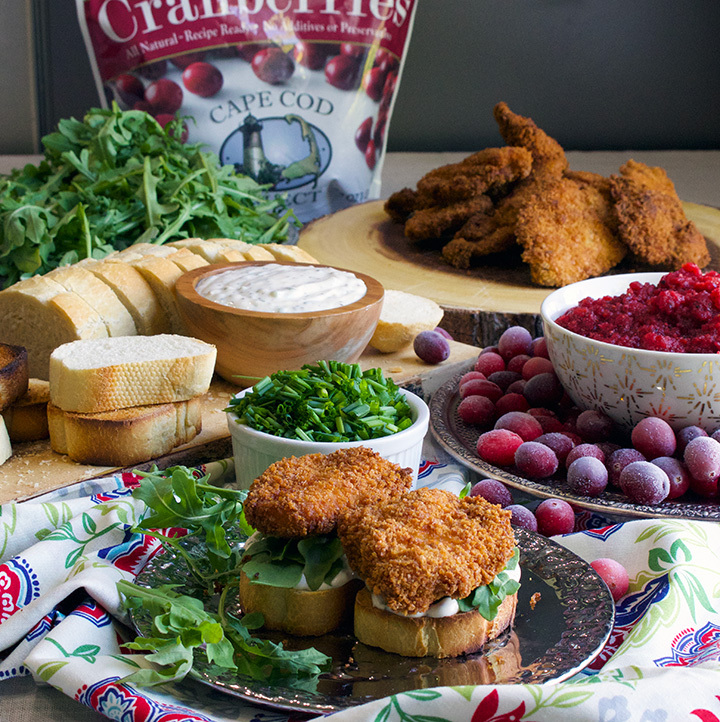 Slices of toasted baguette spread with a thick layer of savory seasoned mayonnaise, a handful of peppery arugula, medallions of crispy panko fried chicken, and spicy cranberry relish. 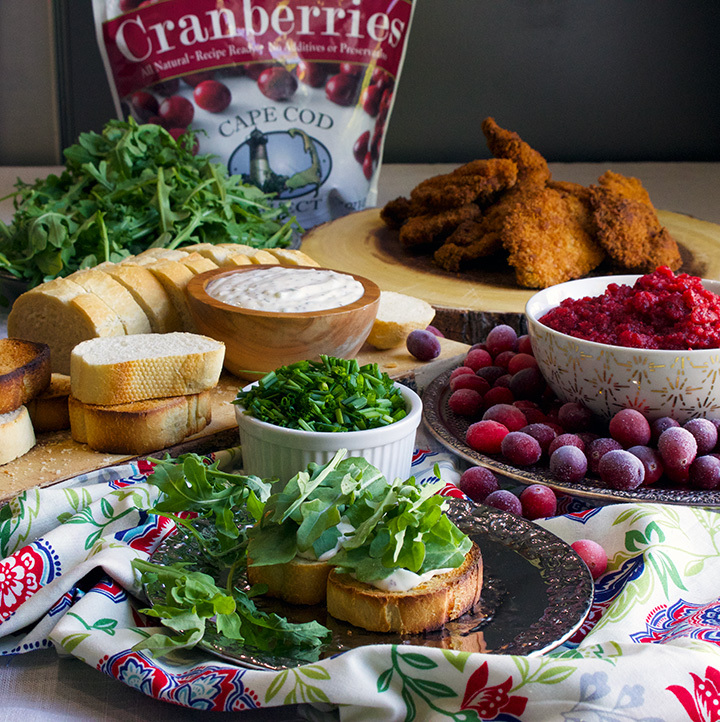 Toasty bread, creamy seasoned mayonnaise, peppery arugula, crispy fried chicken, and tart-sweet-spicy cranberry relish. 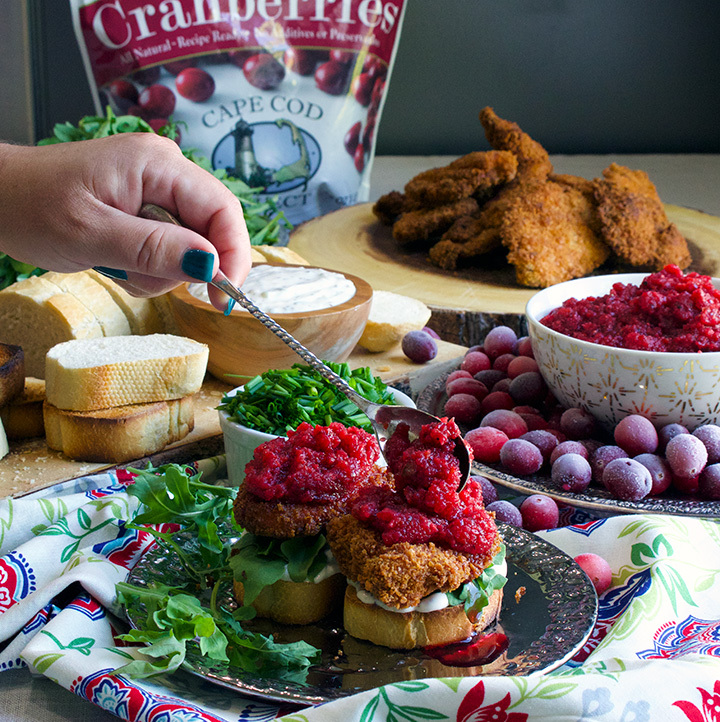 These little 3 or 4 bite sandwiches are a party of flavors and textures. Even better, they are at home in pretty much any situation – from weeknight casual to black tie formal – and easy enough to make that they can be a part of your life any time you get a hankering. Pass along a tray at your next backyard BBQ? Absolutely. 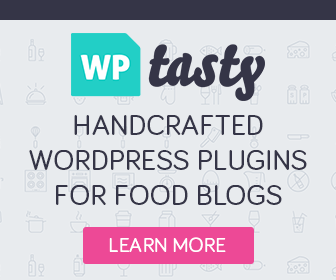 Serve to dinner party guests as the first course? For sure. Set out at a cocktail party buffet? Definitely. Whip up a few for a casual weeknight dinner? Yes. Especially, yes. Because once you try these, you’re going to crave them all the time and should most definitely not wait for the next party to make them. Let’s break these bad boys down, shall we? Start with some toast and savory, seasoned mayo. When I was creating this recipe, I made an extra big batch of savory, seasoned mayonnaise to ensure I’d have enough for tasting and testing and pictures and all that, and my 17 year old starting putting it on everything. And really, she has the right idea because it’s amazing what a few extra ingredients can do to a humble jar of mayonnaise. Plus, making this seasoned mayonnaise takes virtually no effort. Dump all the ingredients into a bowl, stir, and store in the refrigerator until ready to assemble your fried chicken sandwiches. You can do this up to 5 days ahead of time, but beware of hungry teenagers. 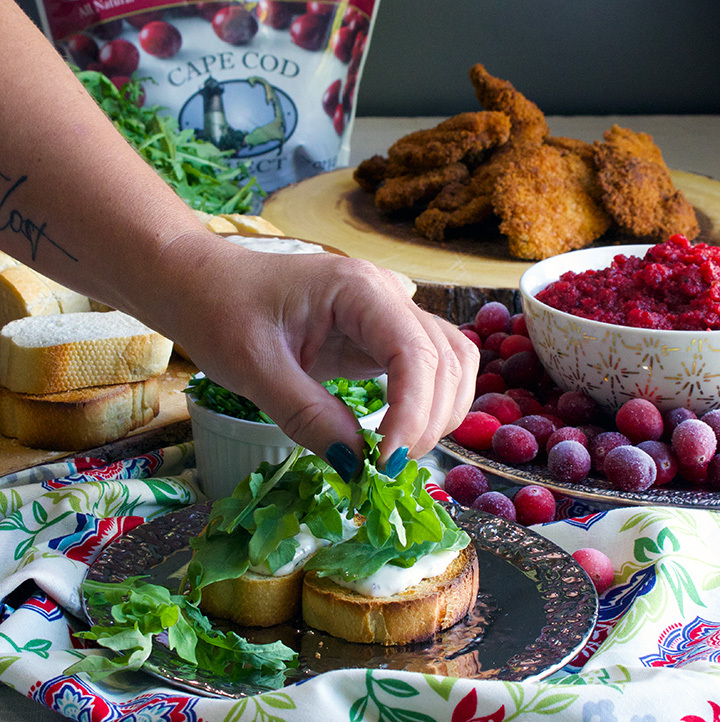 Top your mayo covered toast with a few pieces of arugula. 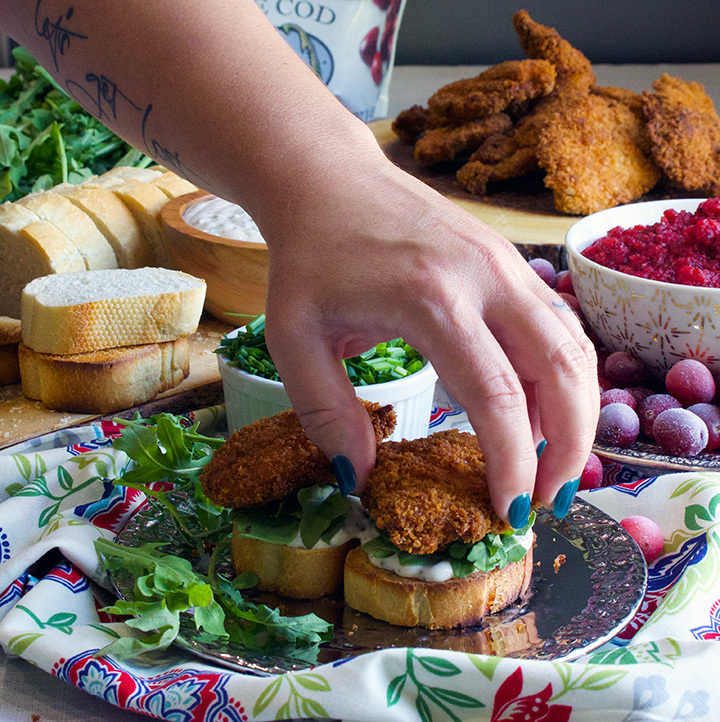 It’s a little bit surprising how important the arugula is in these little sandwiches. Arugula delivers a peppery punch that balances out the other flavors remarkably well. Just a few leaves on each sandwich provides that all-important finishing touch that somehow ties everything together and makes every bite better than the last. These little fried chicken medallions are supremely crispy thanks to a thick coating of panko bread crumbs. Panko is a a type of bread crumb most often used in Japanese dishes that is, in my opinion, far superior to regular bread crumbs in every way – especially in fried foods. Panko is lighter, flakier, and much crispier than regular bread crumbs. 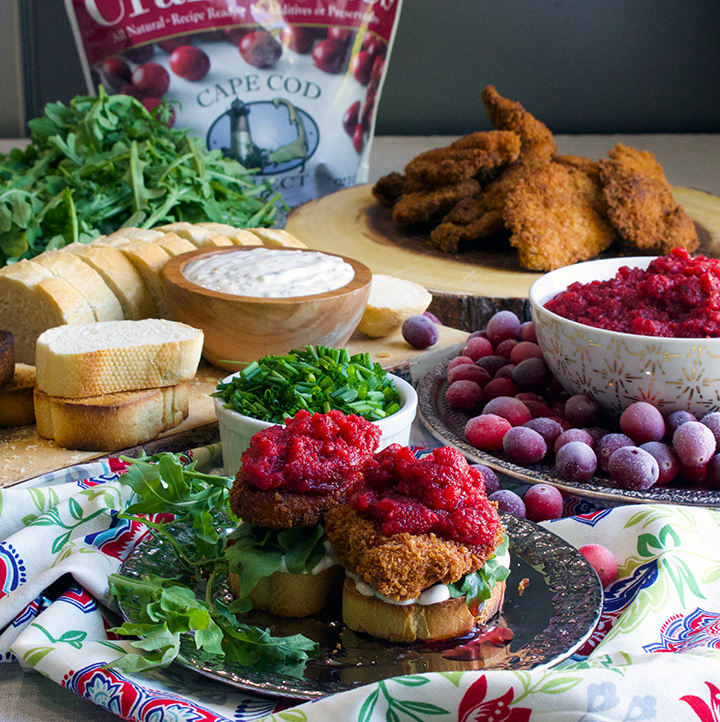 In addition, panko absorbs less oil so that your little crispy chicken medallions will be light, juicy, and flavorful – not greasy. Even better, making cranberry relish takes about 5 minutes and can be done up to 5 days in advance. 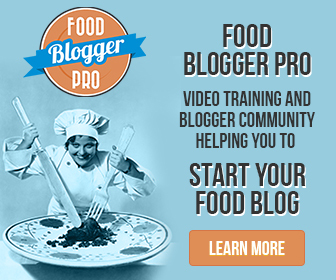 You literally toss all the ingredients into a food processor and turn it on. 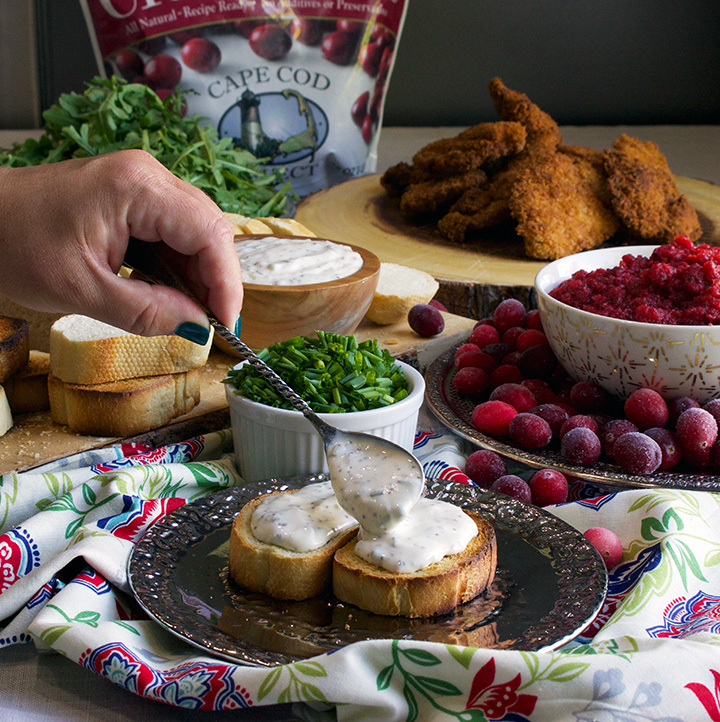 Garnish with a handful of chives and dig in. 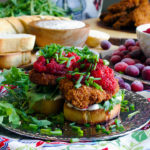 If you’re making these as a part of Summer Meal Plan #5, plan to make 2-3 little fried chicken sandwiches per person and serve them with some Roasted Corn on the side. Remember to make double the amount of fried chicken, reserving half for Wild Rice, Cranberry, and Corn Salad on Day #3. Add all the Cranberry Relish ingredients to the bowl of a food processor fitted with the chopping blade. Process until all the ingredients are thoroughly blended and there are no chunks of any one ingredient in the relish. Taste and add more salt or pepper if desired. Scrape the relish into an airtight container and refrigerate until ready to serve. Add all the mayonnaise ingredients to a bowl and stir until blended. Scrape into an airtight container and refrigerate until ready to serve. Add the flour to a shallow dish or pie plate and sprinkle in about 1 tsp salt and 1 tsp pepper. Stir to combine. Crack the eggs into a separate shallow dish or pie plate and sprinkle in about 1 tsp salt and 1 tsp pepper. Whisk vigorously to combine. Add the panko bread crumbs to another shallow dish or pie plate. Cut the chicken into pieces that are approximately 2-inches wide. Have a clean plate nearby. Dip each piece of chicken into the flour, rolling it around to coat. Gently shake off excess flour, then dip the chicken into the eggs, coating it completely. 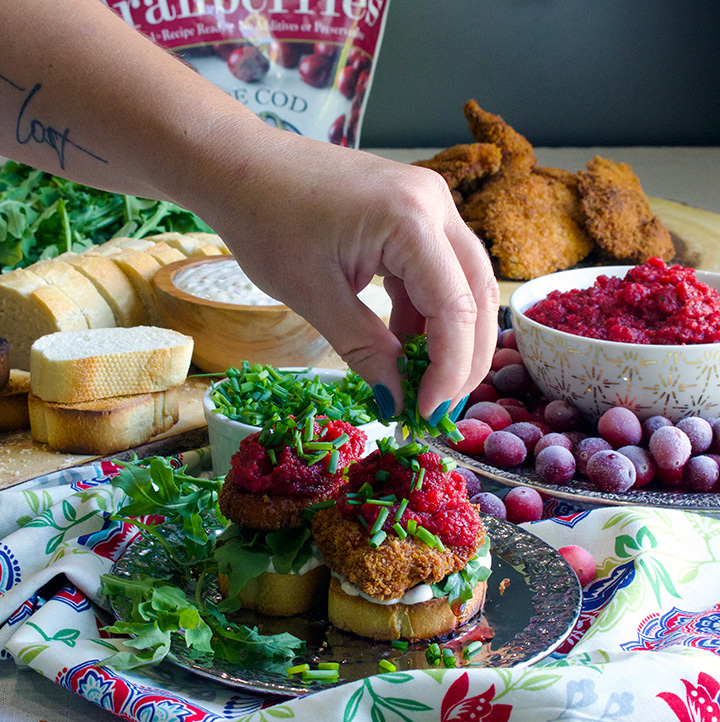 Lift the chicken from the eggs and press the chicken into the panko bread crumbs, coating it on all sides. As you coat the chicken with bread crumbs, press it firmly with the palm of your hand to flatten it out and coat with a thick layer of bread crumbs. Lay the chicken medallion onto the clean plate and repeat with the remaining pieces of chicken. Lay several paper towels on a plate and set it close to the stovetop. Pour the corn oil into a large, deep saucepan set over high heat. 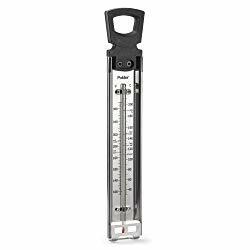 Heat the oil to 375 degrees on a candy or deep fry thermometer. Using tongs, add several pieces of chicken to the hot oil; do not overcrowd the pan. As the chicken fries, monitor the oil, adjusting the heat as necessary, so that the oil stays between 325 – 340 degrees. Let the chicken cook on one side until it’s a deep golden brown, then turn to the other side. When it is a deep golden brown on all sides, remove one piece of chicken from the hot oil and lay it on the paper towel lined plate. Quickly cut into the piece of chicken to check for doneness. If there is no pink inside the chicken, immediately remove the other pieces from the hot oil to the paper towel lined plate. Total cooking time for the chicken medallions is 3-5 minutes. Repeat with all the chicken medallions until they are all cooked. Slice the baguette into slices that are about 1-inch thick and toast. For each sandwich: Spread one piece of toast with approximately 1 tablespoon of savory seasoned mayonnaise. 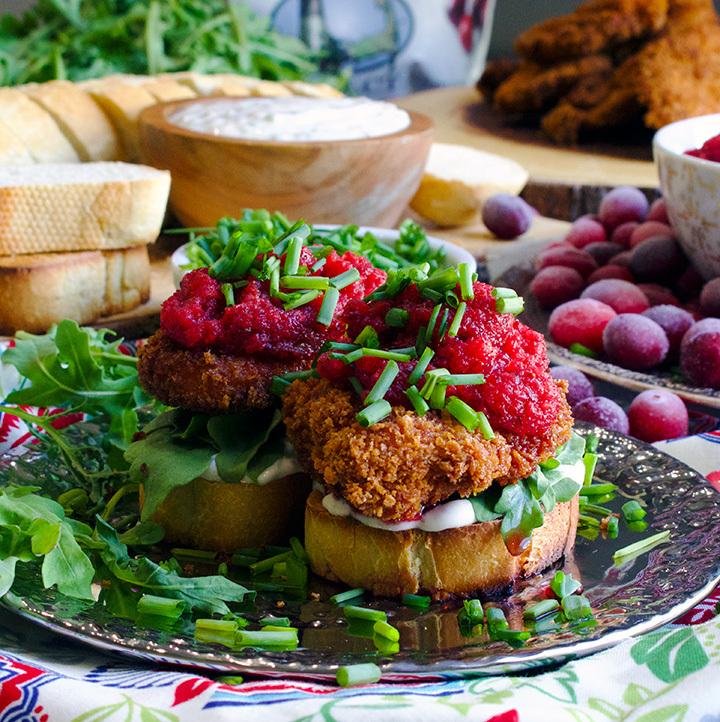 Lay 5 or 6 arugula leaves over the mayonnaise and top with a fried chicken medallion. 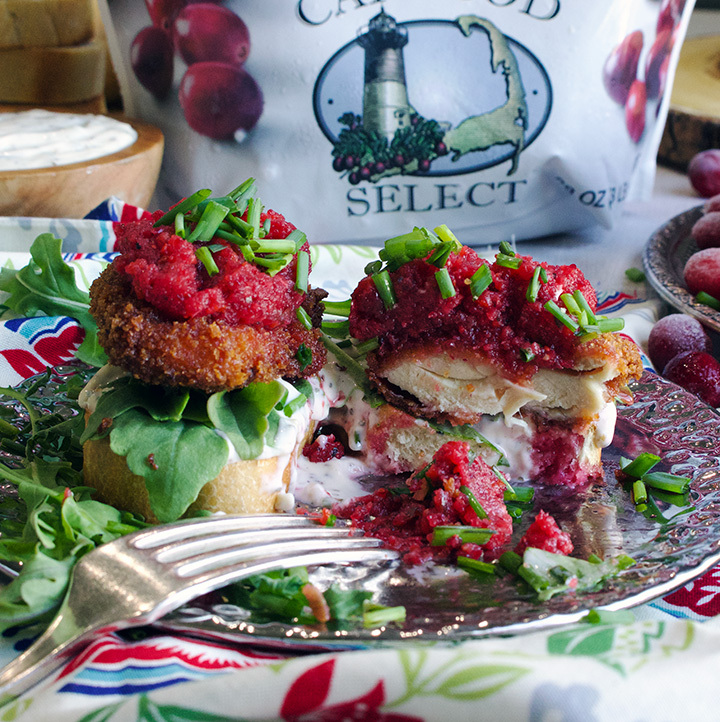 Spoon a generous amount of cranberry relish over the chicken medallion and sprinkle with a small handful of chives.